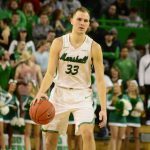 Marshall basketball has had no shortage of notable players in the D’Antoni era; from Austin Loop to Ryan Taylor to James Kelly—and the 2018 team is no exception. Elmore comes from a basketball pedigree; you might say it’s in his DNA. His father, Gary Elmore, was a two-time Southern Conference Player of the Year in 1986 and 1987 while playing for the Virginia Military Institute. He finished his career as the all-time leading scorer in Keydets history with 2,422 points, a mark that stood for 22 years. Jon Elmore’s grandfather, Otmer, who played for the West Virginia Mountaineers, also played a key role in Jon’s formative basketball years. 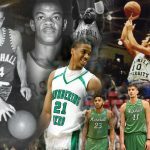 While Elmore and Marshall University seem like a perfect match now, Elmore took a roundabout way of getting to Huntington. Despite putting up stellar numbers for the George Washington Patriots in high school, his scholarship offers to play for a Division I college were scant. Ultimately, Elmore opted to sign with his father’s alma mater where his older brother Ot was already a member of the VMI team. 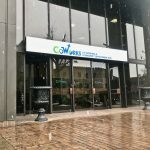 But when the Elmores’ grandfather was diagnosed with terminal cancer, the brothers left school to be with him in West Virginia, often sleeping on the couch so as to be with him around the clock. “My grandfather, who we were extremely close with, kind of helped raise us and taught us the game of basketball—him and my dad. So it was hard,” Elmore said. 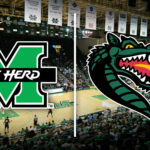 Elmore finally enrolled at Marshall University in the fall of 2015, opting to pay his own way since NCAA rules prohibited him from getting an athletic scholarship or even contacting coach D’Antoni due to his arrangement with VMI. In a truly bizarre turn of events, the young man who would within two years be called the “most underrated point guard” in college basketball by Sports Illustrated was without a team. Elmore was putting up crazy numbers in intermural ball, but coach D’Antoni had never heard of him. “I had no clue,” D’Antoni joked. Luckily for all involved, former Marshall coach Greg White caught wind of Elmore’s talent and mentioned him to coach D’Antoni. “He goes, ‘Well, he wants to come, and Danny, you better take him,” D’Antoni said. 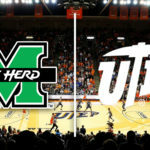 Once the Elmore family reached an agreement with VMI for Jon’s release from the Virginia school, Elmore officially joined the Thundering Herd program in December of 2015 and fit the system like a hand in a glove. 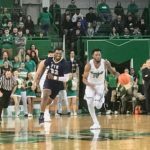 Following an explosive first year at Marshall where he averaged 19.7 points per game, Elmore declared for the NBA Draft, but says he never intended to leave Huntington so early. “I just wanted to get my name out there being a small town kid from West Virginia,” Elmore said. It’s not hard to see why Elmore would want to stay in the D’Antoni system a little longer as the two seem custom-made for each other. “I want to be the best, I want to beat the best, and I want to show everybody what they passed up on,” said Elmore. 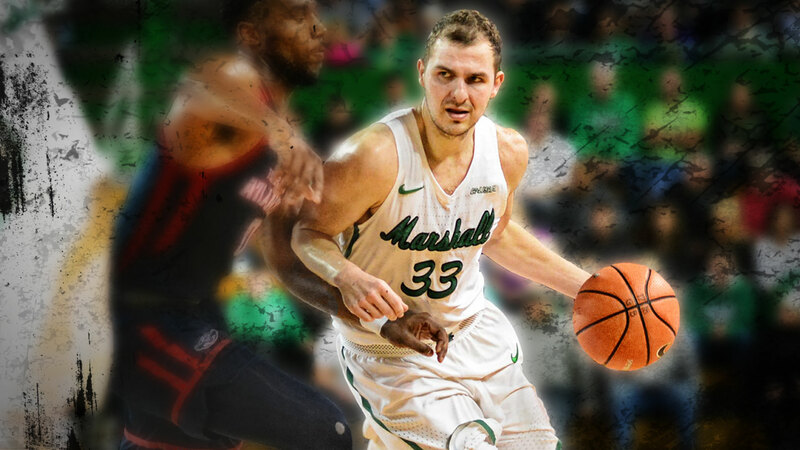 Marshall fans can see Johnny Buckets and the rest of the Herd on the hunt for their 20th season win and their first 6-game winning streak since 2010 on Thursday night. 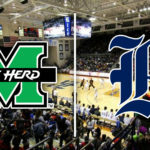 MU will take on the Old Dominion Monarchs in a 7 p.m. matchup from the Henderson Center.